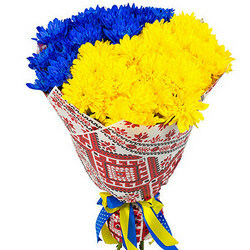 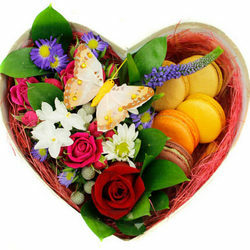 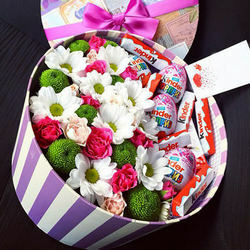 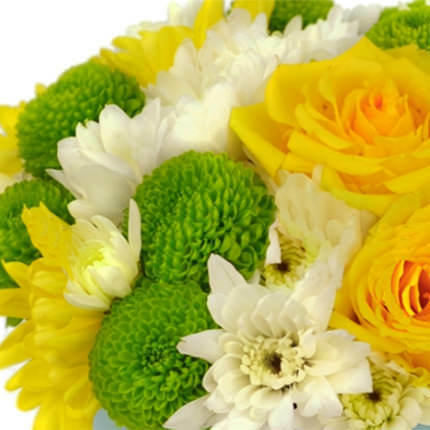 Very sunny and warm composition of flowers will give a smile and a wonderful mood to dear person! 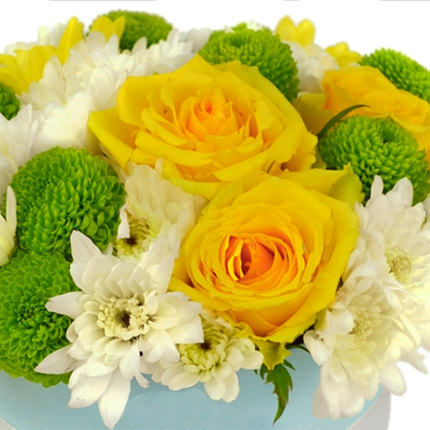 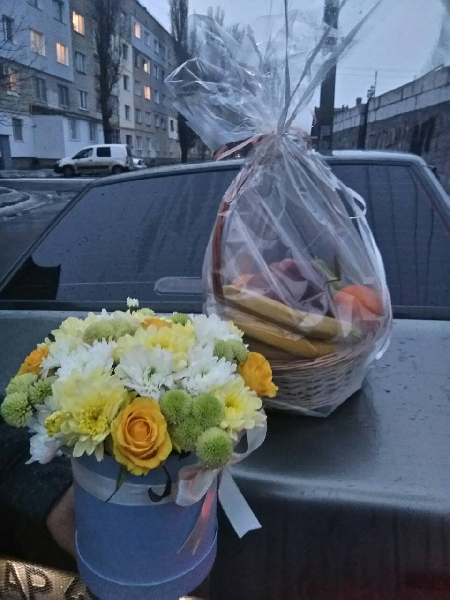 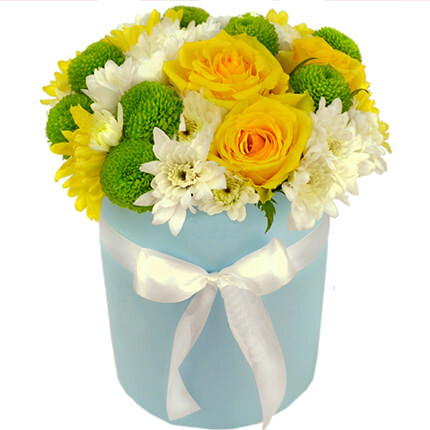 Composition: 5 yellow roses, 6 branches of white, yellow and green chrysanthemums, greenery, decorative gift box, floral material. 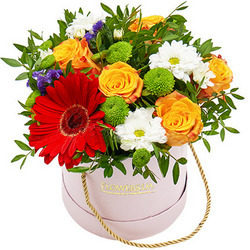 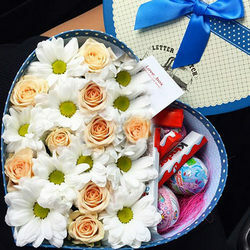 Flowers in a box "Smile"
Composition in a box "Summer vacation"
20032019 © Flowers.ua Flowers in box "Summer sun"